Vitamins are often an expensive purchase. Consumers want to know if these vitamin products are effective and thus worth the money. Independent laboratories, such as US Pharmacopoeia, routinely test how fast vitamins dissolve in the stomach, which allows them to be quickly absorbed into the bloodstream for use in the body. A similar test can be easily done at home using white distilled vinegar warmed to 98 degrees F.
Fill a mug with 4 to 6 oz. of vinegar and heat it in a microwave for 30 seconds. Place a thermometer in the mug and note temperature. The thermometer should not touch the bottom of the mug. 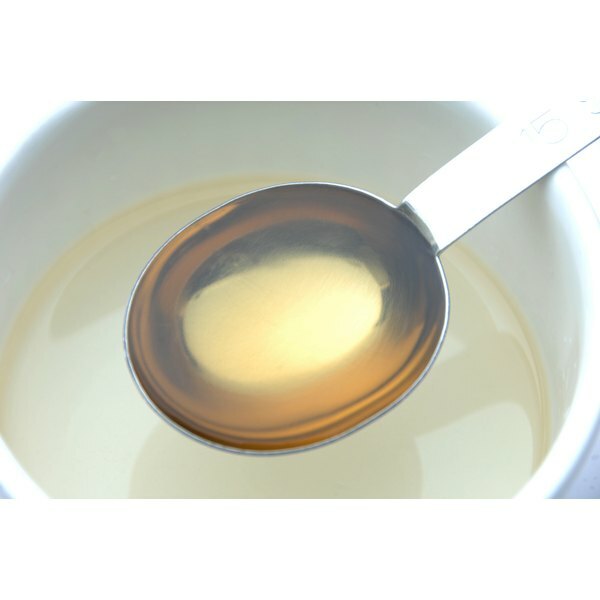 Place one or two vitamin pills into the mug when the temperature of the vinegar is 98 degrees F.
Place mug on a heating plate or the heating pad of a coffee maker to keep it warm. Jostle or stir the vitamins in the glass every 5 minutes until dissolved. According to the USP, at least 75 percent of the vitamin should dissolve within one hour in order for it to be considered an effective product. If the vitamin does not dissolve within one hour, it should be thrown away. Some manufacturers add fillers such as sawdust or sand to vitamins. Sawdust will float to the top of the glass. Sand will settle on the bottom of the glass. This test is not recommended for “chewable” vitamins, which begin to break down with chewing. Vinegars that are not labeled as containing 5 percent acetic acid are not recommended for this experiment. The pH of stomach acid is 3. Some vinegars have a pH of 4 or 5. Acetic acid vinegar has a pH of 2.4. “Time released”, “sustained released” and “enteric coated” vitamins will not break down using this test.These products are designed to break down in the intestinal tract. Based in Northwestern Pennsylvania, registered dietitian Michele Frndak has educated the public about food and human behavior since 1981. A nutrition coach and community food advocate, Frndak holds a Master of Science degree in human nutrition from the University of Alabama. Her online articles reflect a passion for well-being through nutritional health.